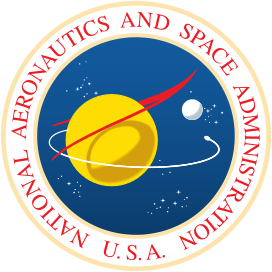 The National Aeronautics and Space Administration (NASA) is the United States government agency responsible for U.S. space exploration, space technology, Earth and space science, and aeronautics research. NASA inspires the world by exploring new frontiers, discovering new knowledge, and developing new technology. Since NASA’s inception in 1958 to present day, the Agency’s history is written with each unique scientific and technological achievement. NASA has landed people on the Moon, visited every planet in the solar system, touched the Sun, and solved some of the core mysteries of our home planet. Today, the nation’s economic prosperity, national security, and cultural identity depend on NASA’s leadership in aeronautics, space exploration, and science. NASA’s headquarters is located in Washington, D.C. where the Office of the Administrator provides the overarching strategic direction for the Agency. The Agency’s science, research, and technology development work is implemented through four Mission Directorates and one Mission Support Directorate. The Agency’s day-to-day work is carried out in laboratories, on airfields, in wind tunnels, in control rooms, and in other NASA facilities. This work is distributed across nine Centers, the Jet Propulsion Laboratory (a Federally Funded Research and Development Center), and seven test and research facilities located around the country.